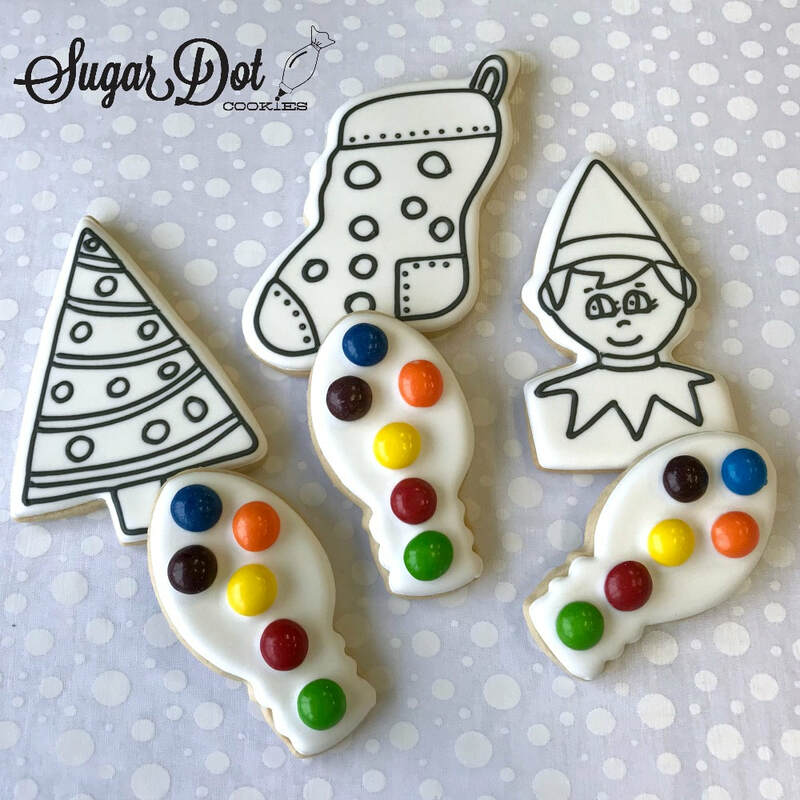 Paint Your Own (PYO) Cookie Kits! 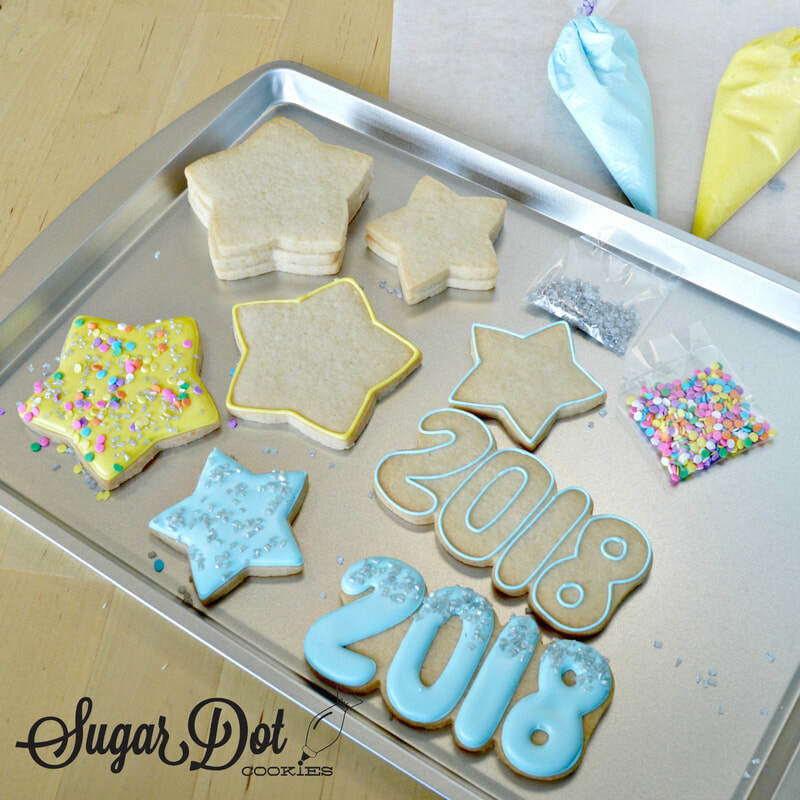 Check back throughout the year for Cookie Kits for many holidays! I've done all of the hard work for you. You get to have all the fun! 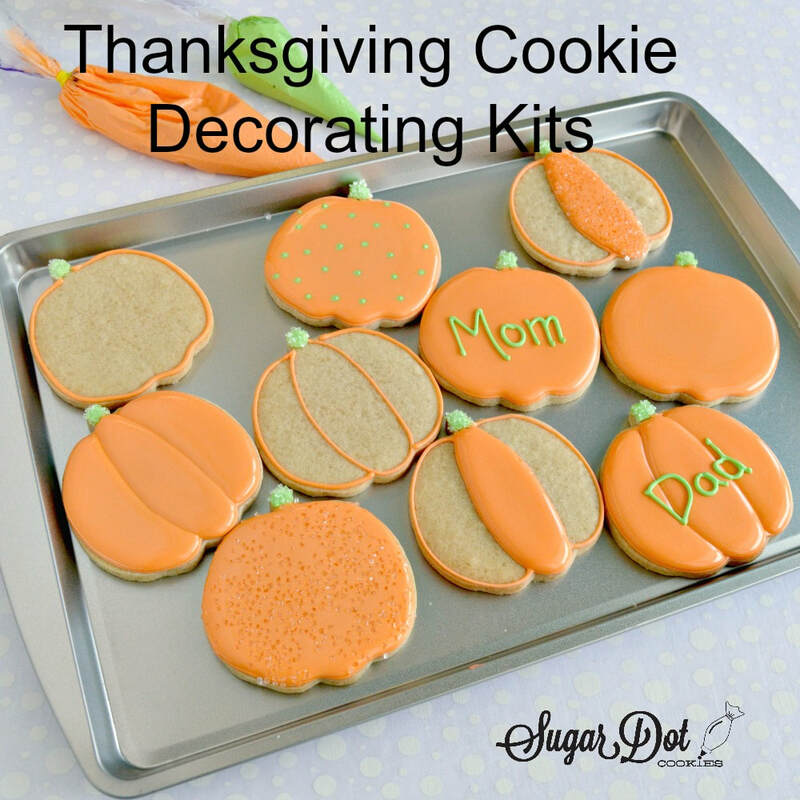 *Cookie Kits make great gifts and fabulous party favors! 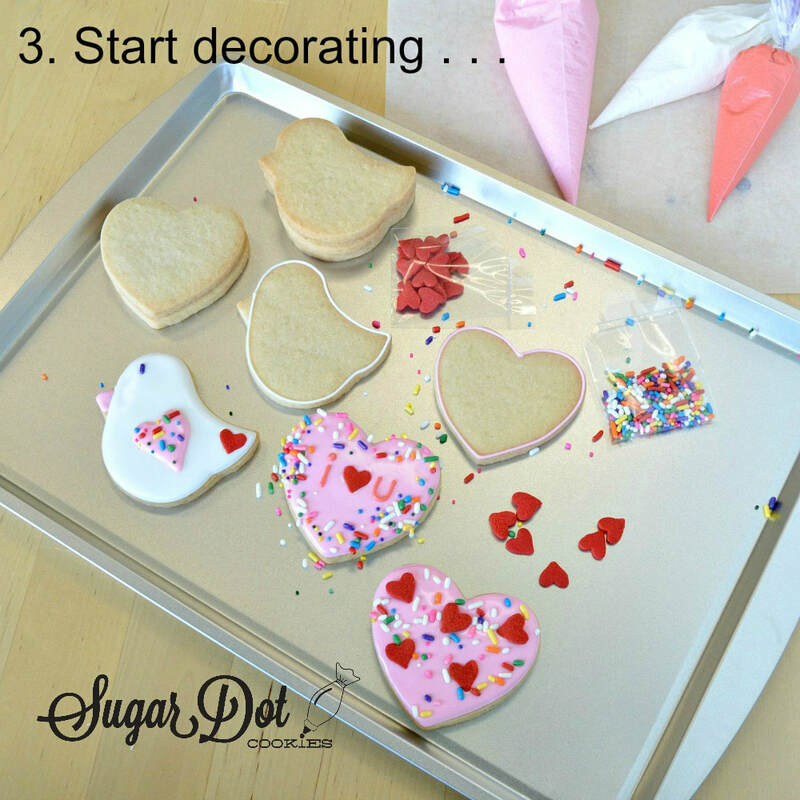 *Decorate cookies to bring to an event. *Make it a party! 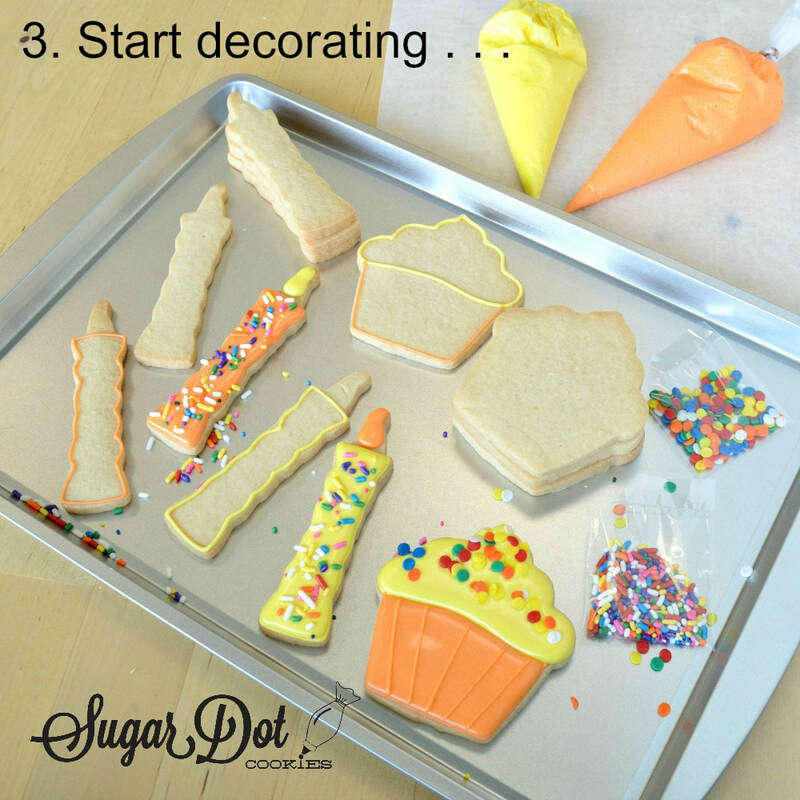 Invite friends to decorate with you! 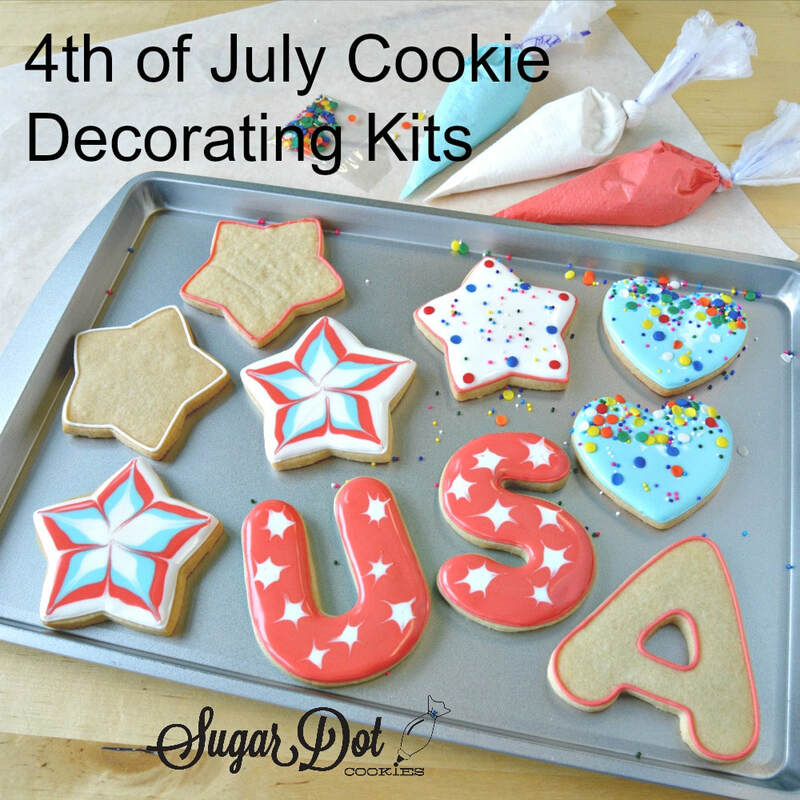 *Take a few Cookie Kits to a party! You've just covered dessert, a hostess gift and family activity all in one! Bam! Party Hero! Would you like to order custom kits for birthdays, showers, bachelorette parties, or any special occasion? Minimum order of 3 custom Decorating Kits, 10 PYO Kits, or 6 Dipper Kits. Local Pick up only. 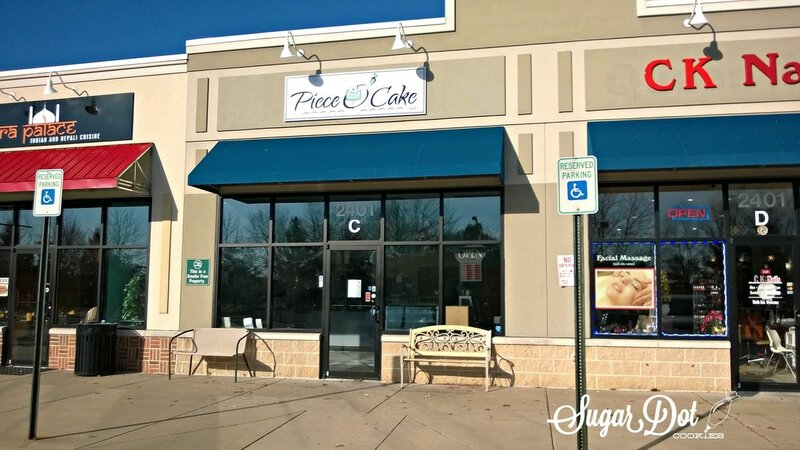 Prices and contents vary. Contact me for more info on custom kits. 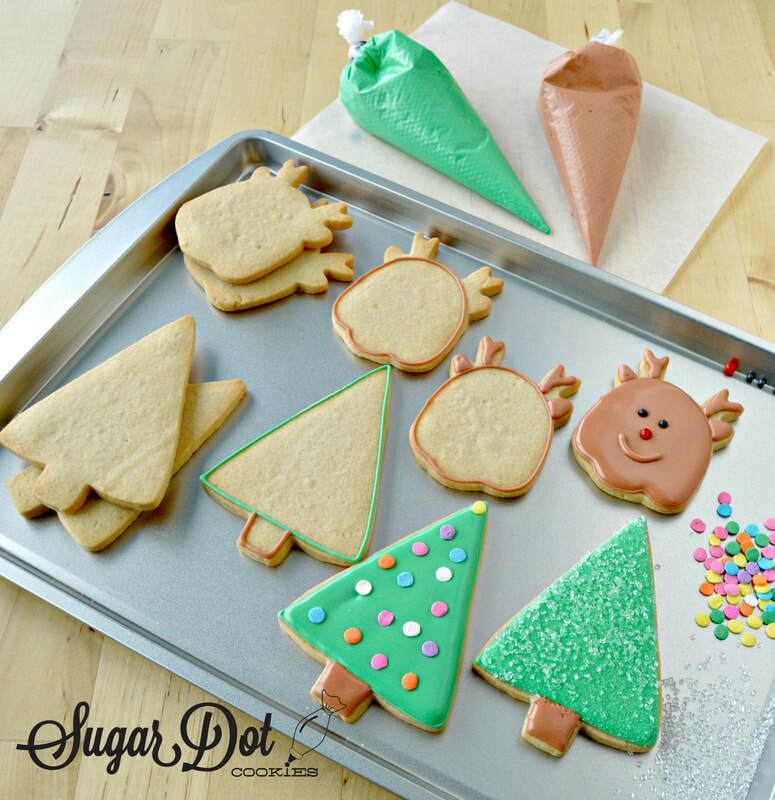 Cookie Decorating Kits: Fun for the whole family! Approximately 10 cookies plus icing plus sprinkles. $21 per kit. 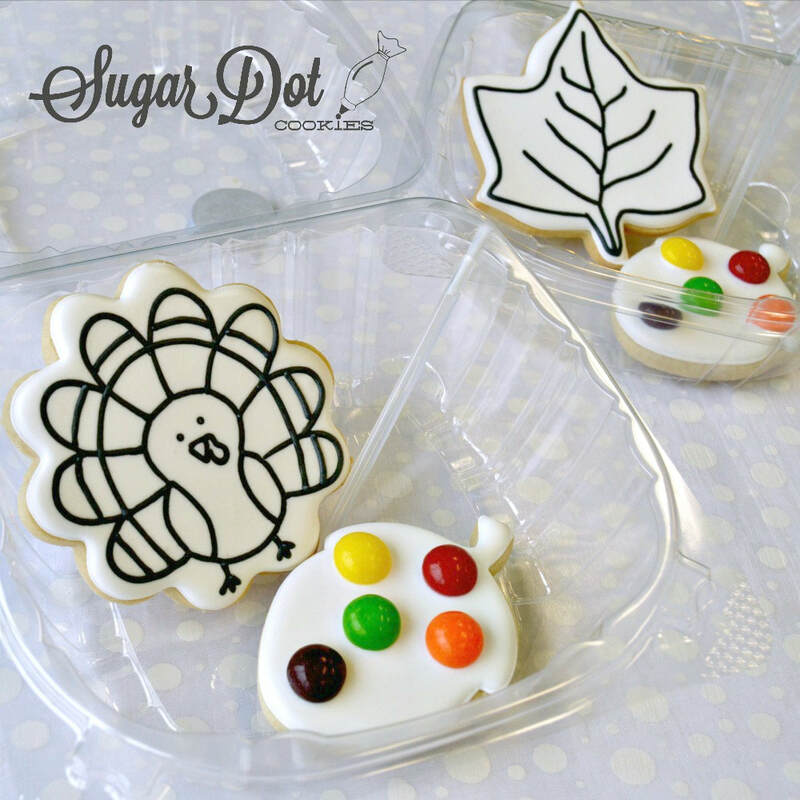 Paint Your Own (PYO) Cookie Kits: Fun for one! Includes 2 cookies (cookie canvas and cookie palette) and paintbrush. $8 per kit. 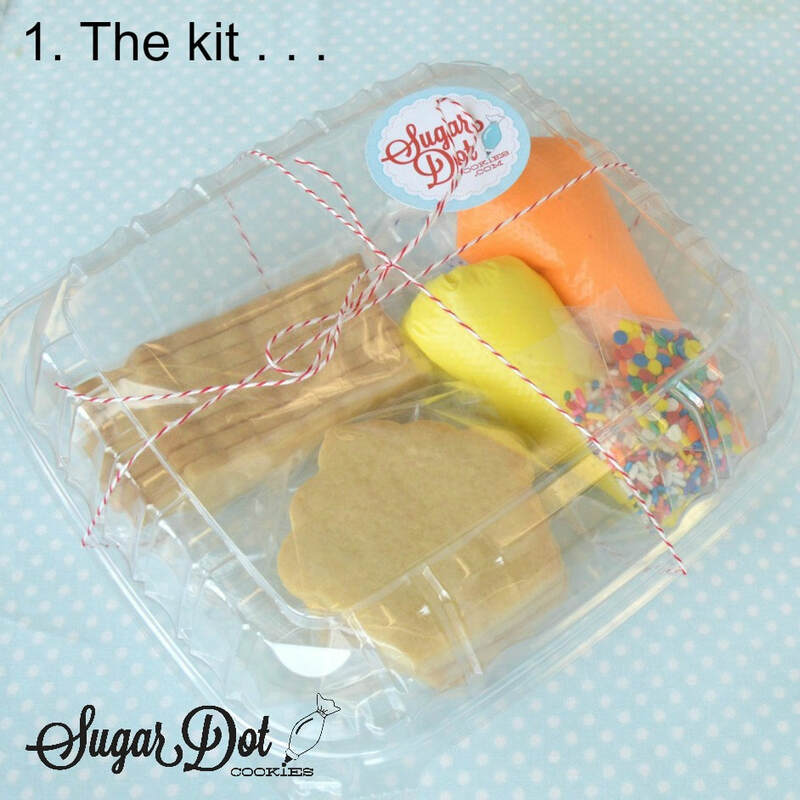 Sugar Dot Dipper Kits: Fun for one if you're hungry, fun for more if you don't mind sharing! 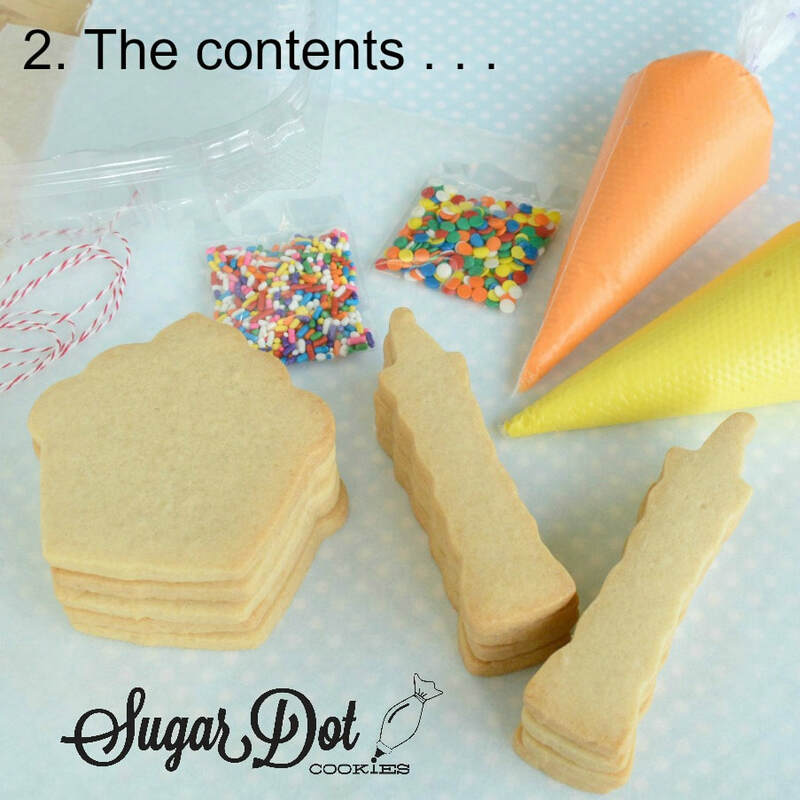 Includes 8-10 small/mini cookies, one container of royal icing and a packet of sprinkles. $12 per kit. An extra container of icing is available for $1.50. Fun and delicious! 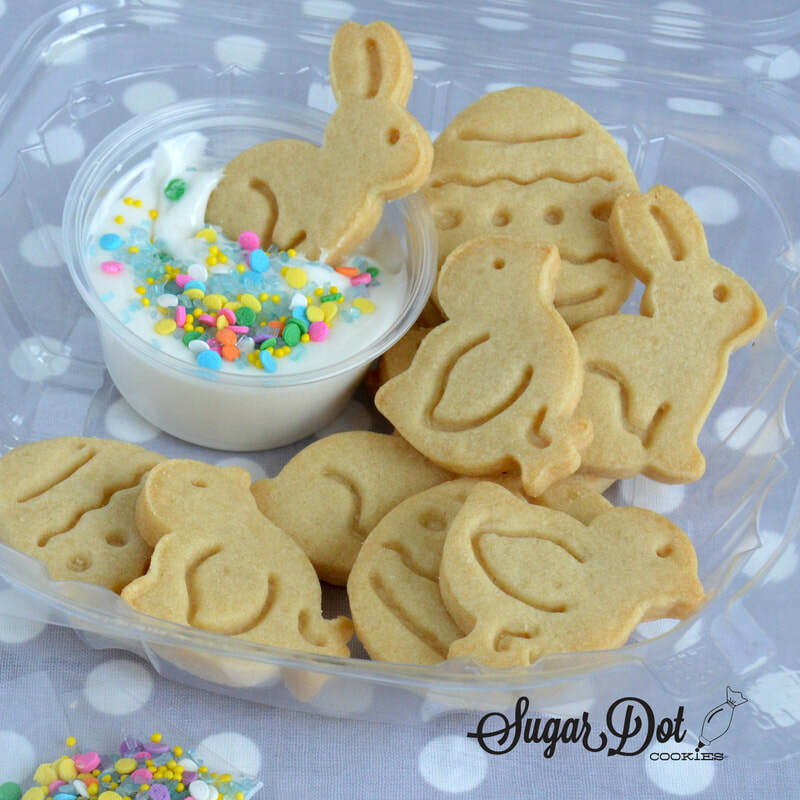 Dip these cute little mini handmade vanilla sugar cookies into royal icing and sprinkles. Want to share your kit but shudder at the thought of double dipping? 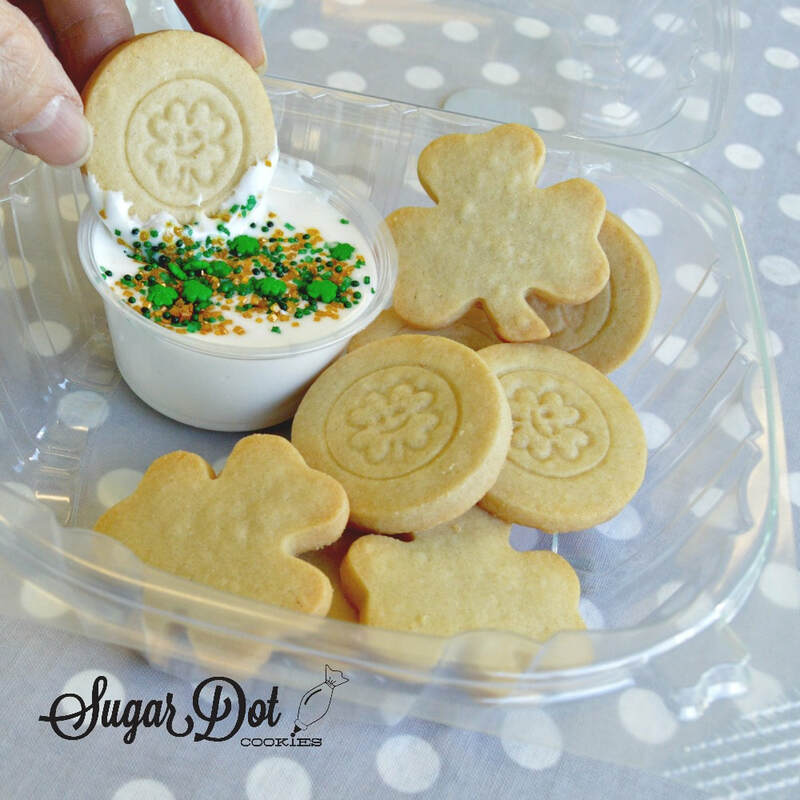 Order an extra container or two of icing! Would you like custom kits for a special party? Let's talk! Click on "Dipper Kits" button for more information and to purchase. 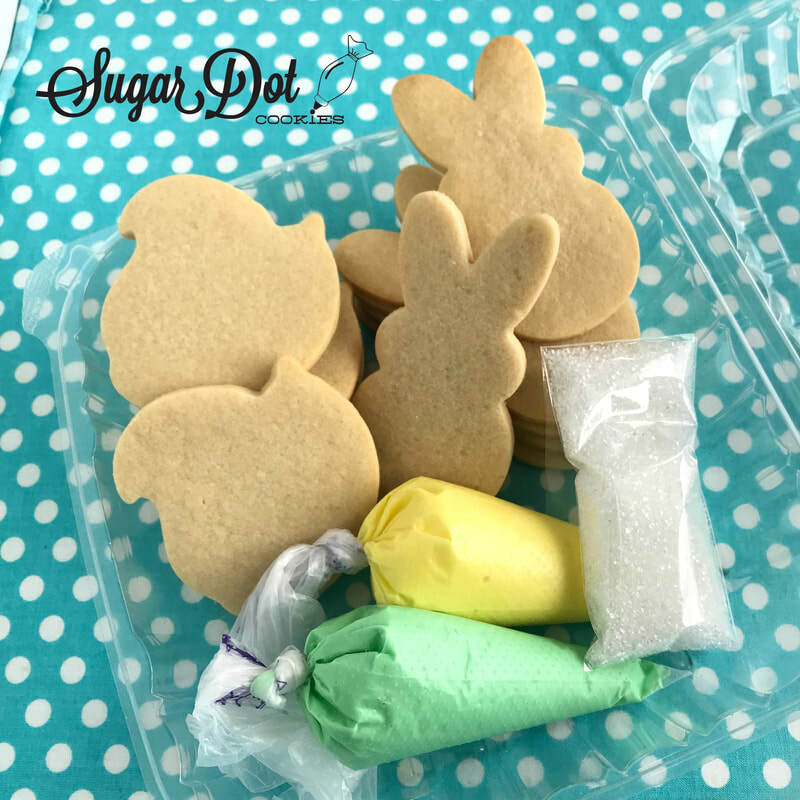 A fun Easter activity! 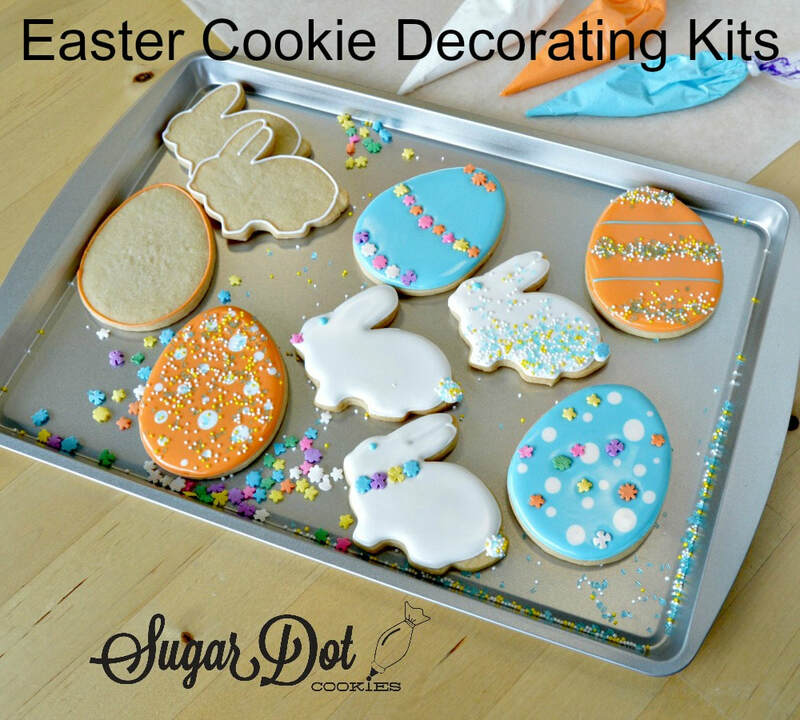 Bring the finished cookies or bring the kit to your Easter celebration! 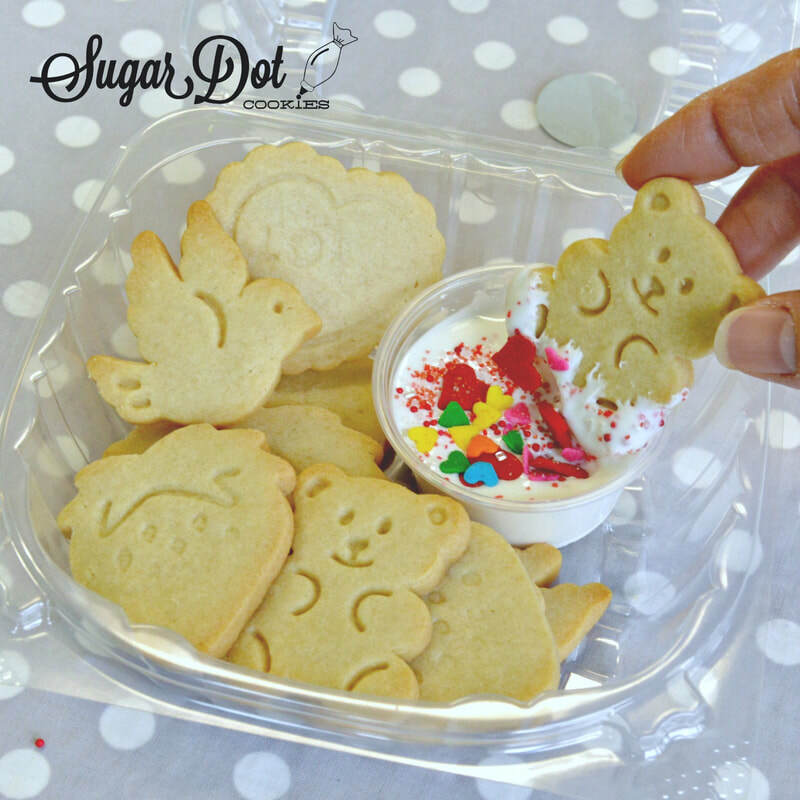 Each kit includes: 5 chick cookies, 5 bunny cookies, sanding sugar, black sugar pearl eyes, yellow and green royal icing. 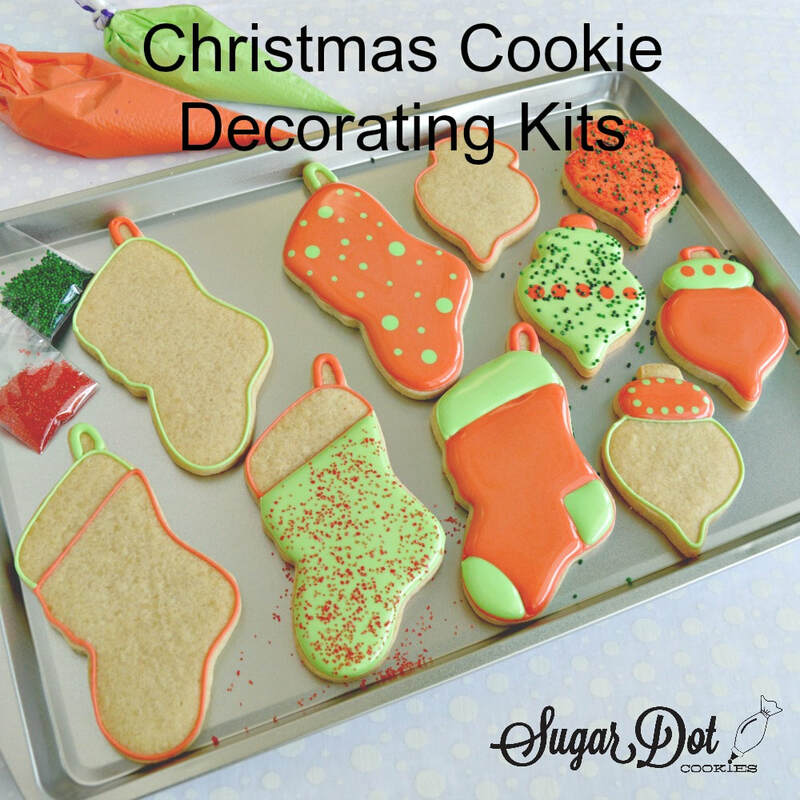 Click on "Decorating Kits" button for more information and to purchase. 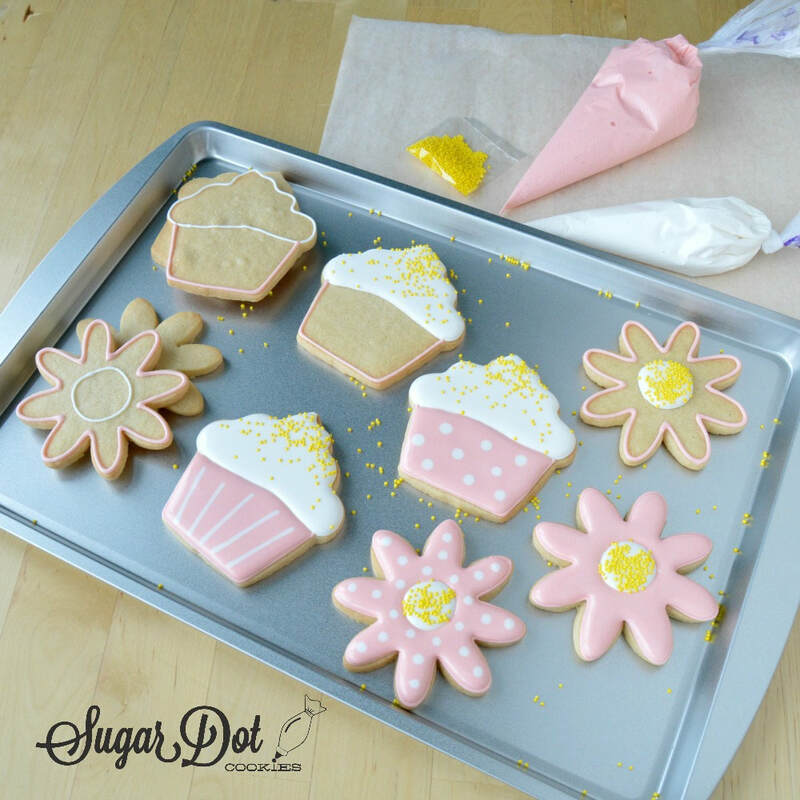 Each kit includes: 5 cupcake cookies, 8 candle cookies, sprinkle mix, and yellow and orange royal icing. 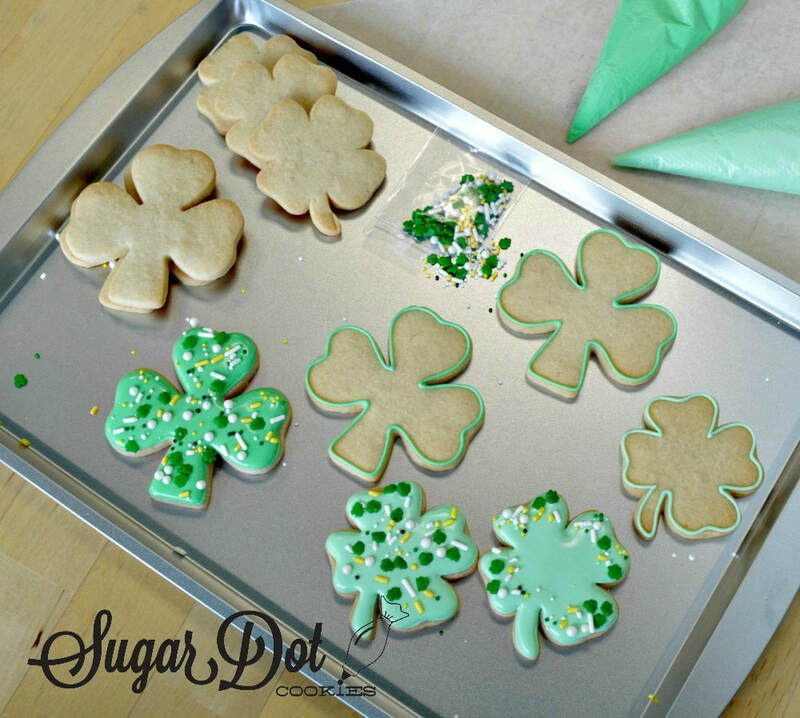 Would you prefer custom cookie shapes and icing colors? Absolutely! Price starts at $21 per kit. Minimum order of 3 kits. These kits are for local pick up only in Frederick, MD. 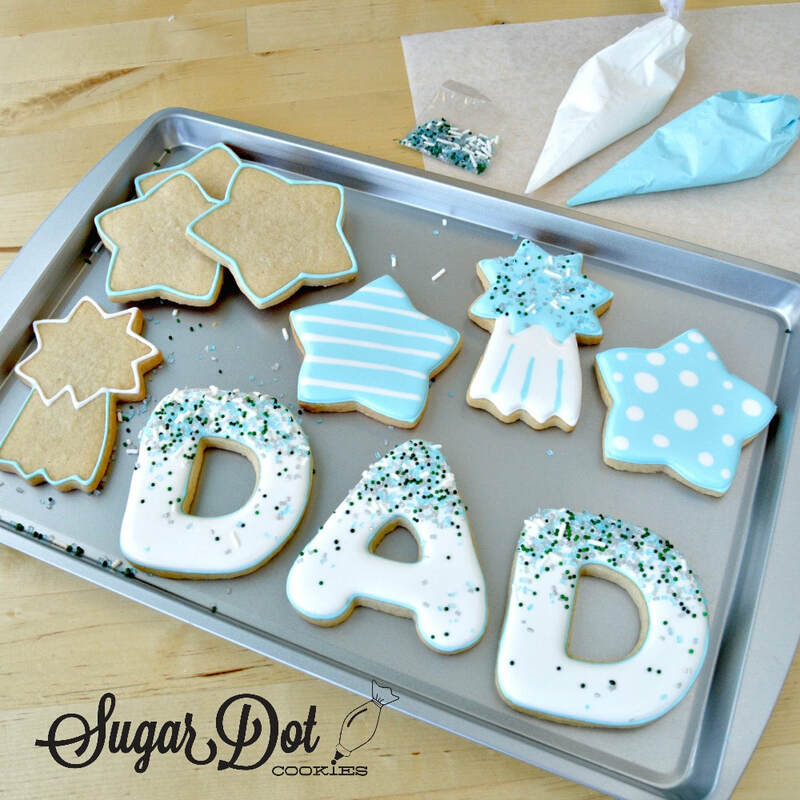 Please contact me to see if I'm available to provide kits for your date and to discuss your custom cookie shapes and icing colors. Be sure to order early! 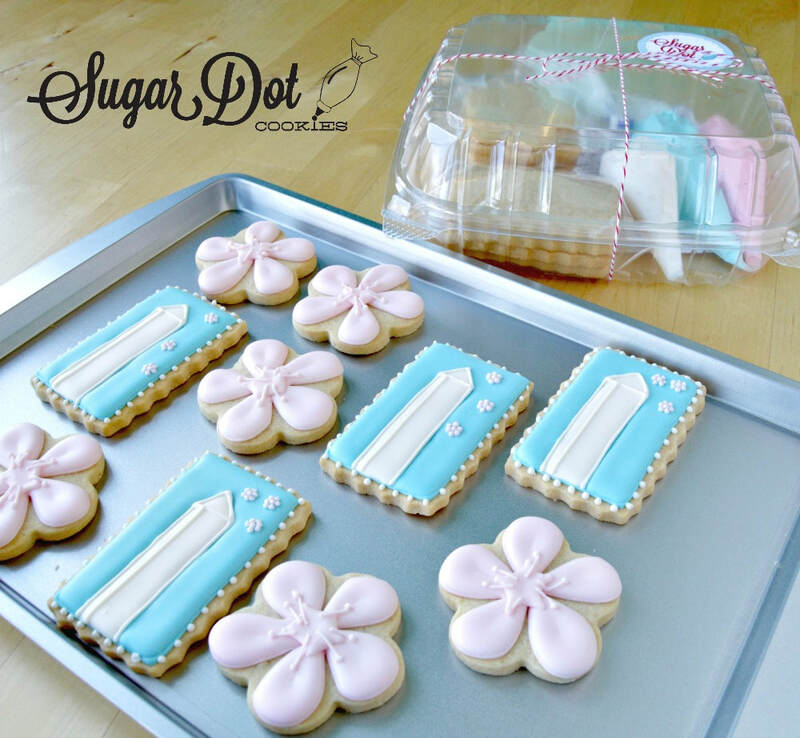 Once we have finalized your order - Click on "Custom Cookie Kit" button to purchase. PREVIOUSLY OFFERED KITS . . .
Open by appointment. Closed Sundays.